We study possible noncommutative (operator algebra) variants of the classical Hoffman–Rossi theorem from the theory of function algebras. In particular we give a condition on the range of a contractive weak* continuous homomorphism defined on an operator algebra A, which is necessary and sufficient (in the setting we explain) for a positive weak* continuous extension to any von Neumann algebra containing A.
Noncommutative Hoffman–Rossi theorems were a project suggested (and guided in its more technical parts, e.g. 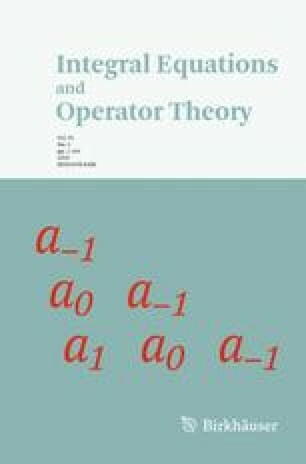 things involving von Neumann algebras) by the first author for the second author’s M.S. thesis  supervised by the third author. The present paper contains several advances made subsequent to that reference, including the main result. We also thank the referee for several comments. DB is supported by a Simons Foundation Collaboration Grant 527078.